What we learned from the Springboks’ Test against Ireland in Dublin on Saturday, according to CRAIG LEWIS. Another Test, another humiliation for the Springboks. 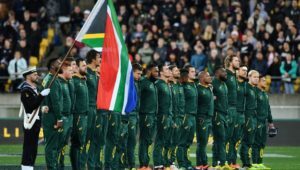 As painful as it may be, there is no escaping the fact that the Boks’ 38-3 loss to Ireland on Saturday was on a par with the 57-0 thumping at the hand of New Zealand in Albany earlier this year. During the tenure of Allister Coetzee, the Boks have now suffered heaviest-ever Test defeats to the All Blacks and Ireland, a first-ever away loss to Argentina and an embarrassing first defeat to Italy. After producing a competitive performance against the All Blacks in Cape Town at the end of the Rugby Championship, the Boks were brought back down to earth with a sickening thud in Dublin as Ireland quite simply outsmarted, outplayed and outmuscled the Springboks. It was another dark day for South African rugby. Perhaps the most painful aspect of the defeat to Ireland on Saturday was having to witness the Springboks’ utter inability to deal with the contestable kicking game of their hosts. The Boks’ diminutive and inexperienced back three were once again exposed as Conor Murray and Johnny Sexton delivered a superb display of tactical kicking. While the Boks had spoken of preparing for this, they were woefully unable to contend with the strategic smarts of Ireland, while the kicking game of the visitors was quite simply embarrassing. Similarly, it was painful to witness Ireland’s dominance of the collisions and breakdown contest, with the Boks unable to cope with the intensity and physicality of their vastly superior opponents. Where does one start? The malaise afflicting Springbok rugby can’t go on, with Allister Coetzee increasingly looking like a coach fighting against the inevitable forces of quicksand. His selections for the Test against Ireland were conservative and confusing. 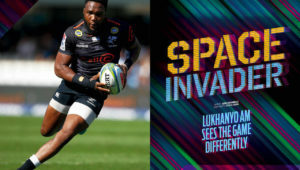 The more physical Handré Pollard overlooked at flyhalf, in-form youngsters Steven Kitshoff and Wilco Louw were named on the bench, while a makeshift back-row combination remained unchanged. Despite Coetzee’s intent to establish some form of continuity, it’s clear that something is horribly wrong. 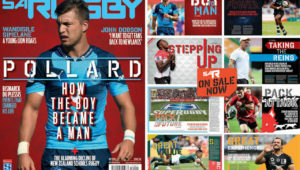 It’s now surely time to shake things up with the selection of talented youngsters such as Warrick Gelant, Lukhanyo Am and Dan du Preez, while an SOS to overseas-based veterans such as Frans Steyn and Duane Vermeulen would certainly be warranted. When Oosthuizen went down with a knee injury during the opening minute of Saturday’s Test, it was just the start of the Springboks’ woes on an unforgiving night in Dublin. 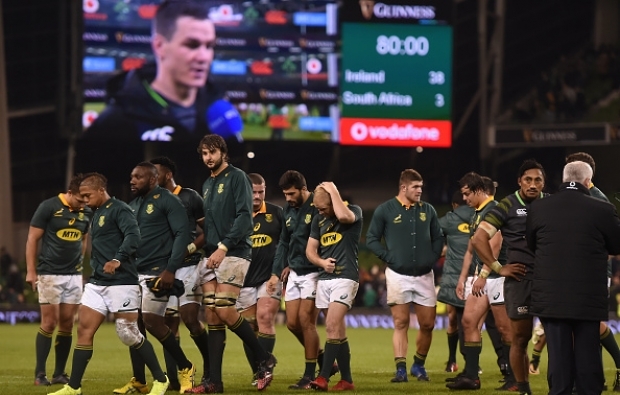 Despite a positive performance from the Bok forwards against the All Blacks in Cape Town, the pack was utterly unable to replicate this against Ireland. Instead, it was the hosts who dominated up front and earned a number of penalties as they dominated the Boks at scrum time and in the physical exchanges. The absence of Oosthuizen clearly disrupted the Bok setup, and the experience of the influential front-rower was sorely missed, but it’s also hardly any excuse for the utter humiliation that the Springboks suffered. 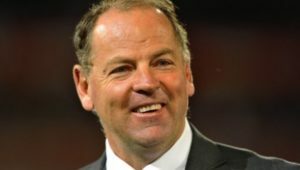 On a day when the Springboks suffered their heaviest-ever loss to Ireland, the Wallabies would go on to secure their 13th successive win over Wales, while the All Blacks cruised to a 38-13 win over France. It’s a damning indictment to consider how far the Boks continue to fall, while their southern hemisphere rivals remain on the right track. During the tenure of Coetzee, the Boks have managed just one away win, and it’s painfully evident that they are no longer feared or revered by the opponents they face. France, Italy and Wales should all be licking their lips at the prospect of coming up against this embattled Bok side that continues to lurch from one horror defeat to another.